<!-Eric Gill. 1882-1940--> Eric Gill. 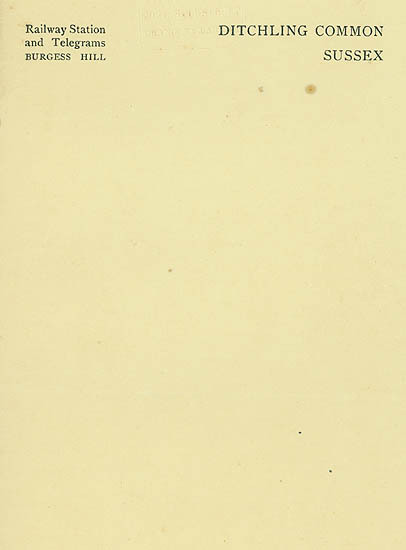 Letterhead for Ditchling Common, Sussex. Letterhead for Ditchling Common, Sussex. 7 x 9. Printed on cream wove paper. Blindstamp, top center, 'Chiswick Press, 20 and 2 Tooks Court, Chancery Lane'. Unsigned. $125.